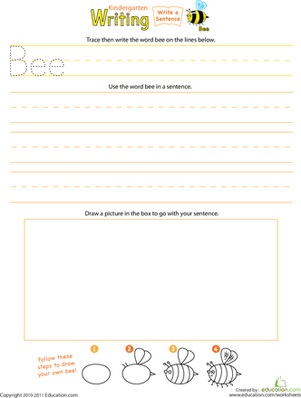 If your kindergartener had fun writing about bees, we bet he'll be inspired to write about bugs, too! 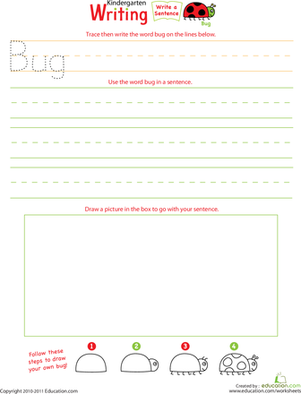 Getting him to write about an interesting insect will spark his creativity and imagination, and improve a slew of other writing skills too. 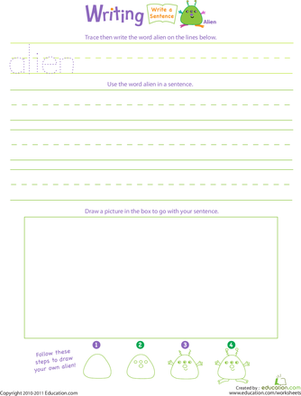 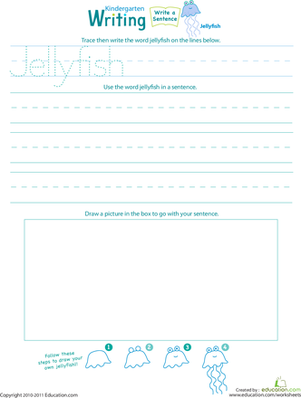 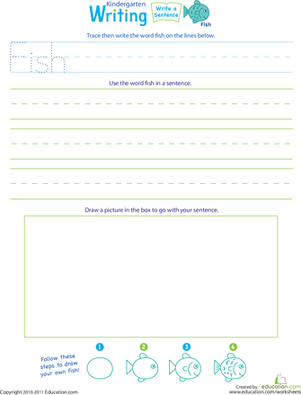 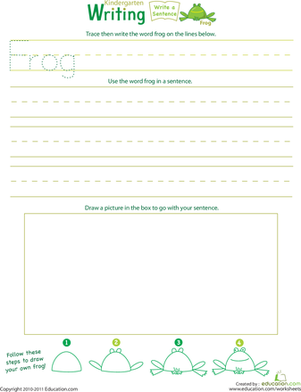 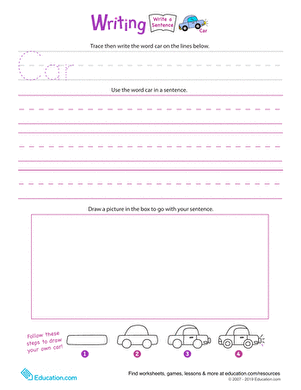 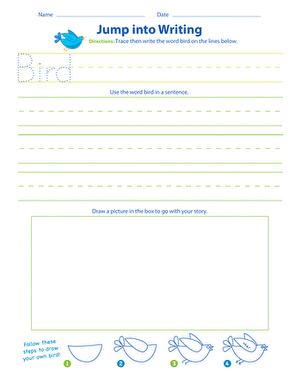 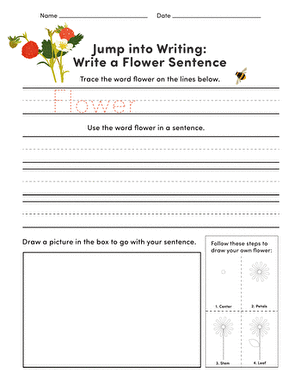 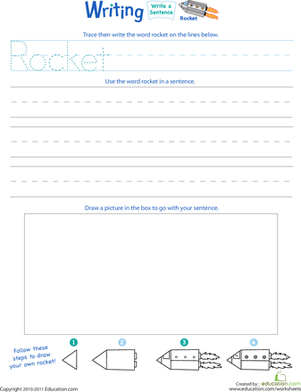 Handwriting, spelling, and building sentences make for a stronger writing ability, and they can all be found in this learning-packed worksheet. 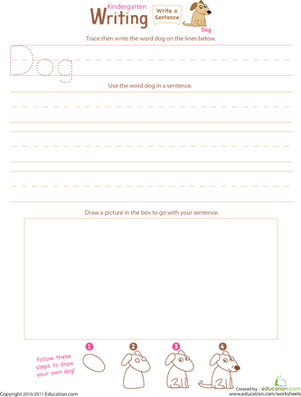 Want to write about a furry friend next? 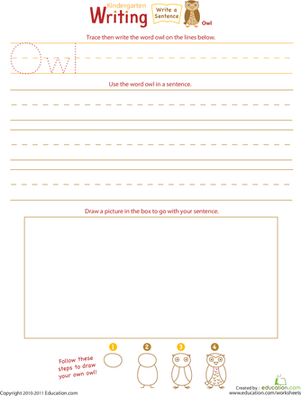 Try writing a sentence about a cuddly Cat!